Since 1980, when he first read Guru Dan Inosanto’s book, “The Filipino Martial Arts”, our President, Lynn C. Thompson, has diligently studied and trained in these disciplines. Lynn’s extensive sparing experiences, combined with his study and training had an immeasurable impact in shaping Cold Steel into the company it is today. 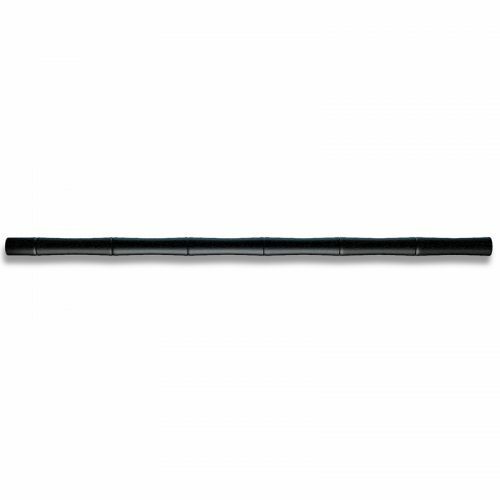 Our brand new Cold Steel Escrima Stick resembles a traditional rattan stick in length, weight, and cross section, it is however, much more durable because it is injection molded from super tough black polypropylene. It measures 32” long and is 1” in diameter and weighs a little over 15 ounces. Unlike rattan, it resists mildew, and won’t dry out, warp, crack splinter or shrink, and with the use of a saw, it can easily be modified to any length. Plus, like our baseball bats, Bokken, and African Walking Stick, it is easy to clean and is so resistant to impact stresses and the elements, that it is virtually unbreakable and practically indestructible. We’re confident that stick fighting enthusiasts and the Filipino Martial Arts Community will want to add one or more of these sticks to their training arsenal.